Godox has announced a new battery-powered ring flash with an LED modelling lamp and high-speed sync support. The Chinese flash manufacturer Godox, known for the popular Witstro and Ving speedlites, recently announced a new flash, the Godox Witstro AR400. 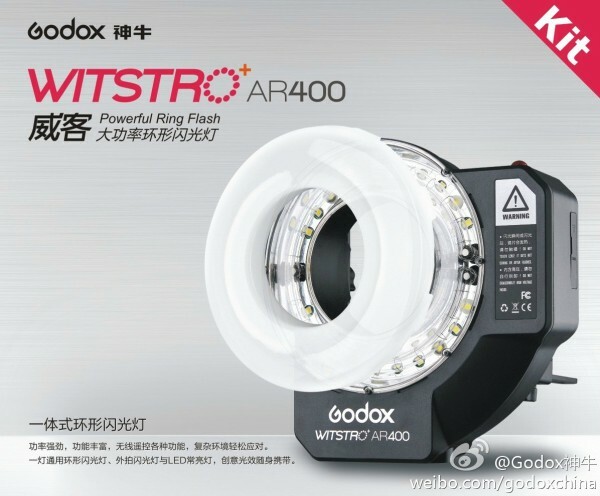 This new light is a variant of the Godox Witstro AD360, but with slightly more power and in shape of a ring flash. Like with other studio-sized ring lights, the camera is mounted on a special bracket that holds the device. This new addition to the Witstro range of flashes will also run on a portable battery pack, but not the known PB960. In the specs a battery type ‘AR-4500’ is given. Besides the 400Ws flash the Godox Wistro AR400 also features a high number of LEDs for a modelling lamp and/or video light function. Currently the exact specs of these LEDs are still unknown, but Godox possibly wanted to make a ringflash that could also serve as video light. 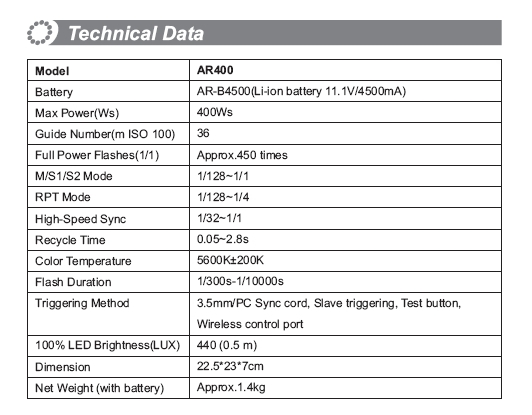 The table below shows the technical specifications. We don’t know yet if Godox will also offer accessories for the AR400, such as a ring reflector dish. The product image above does however show a removable white diffuser. We expect that over the course of the Photokina trade show next week more information, such as price and availability, will be released regarding the AR400. Personally, I would be interested in a high-powered HSS-capable ringflash but what do you think about it? Would you be buying one?